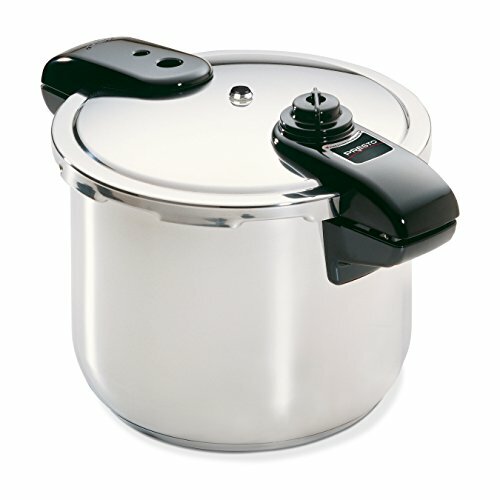 This 6-quart pressure cooker version is constructed of high-quality stainless steel with matte black top and bottom. Featuring a thermostat that is designed for accurate cooking along with digital push button display that is very simple to understand and use. 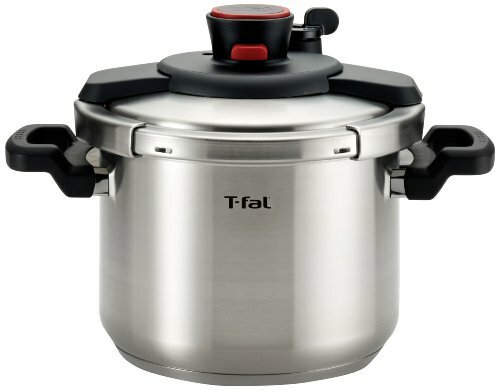 This unit is not only a pressure cooker but it also simmers, warms, browns and sautés, plus there are settings to choose from for every single cooking feature that you can operate using HIGH mode and LOW mode. On the LED display you can also read from the countdown timer from 0-99 minute and the handle is a so called cool-touch feature to eliminate any risk of you getting burned from grabbing the handles. It is perfectly dishwasher safe and comes with a dishwasher safe trivet. 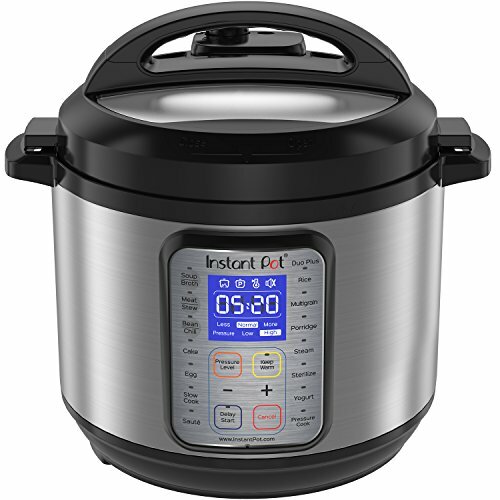 With this pressure cooker, you are able to cut the cooking time up to 70% compared with other cooking appliances and without having to sacrifice delicious flavors. 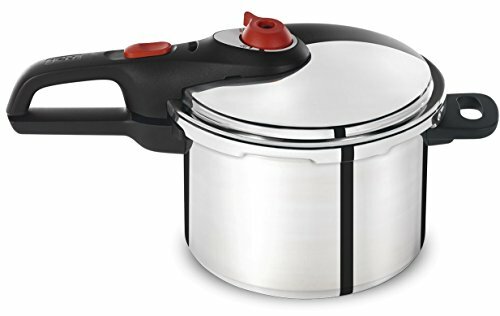 The Cuisinart CPC-600AMZ 6-quart electric pressure cooker performs like no other pressure cooker out there in the market today. Truly a multi-functional device that allows you to simmer, sauté, warm and brown all you treasured meals. With the browning feature you are able to generate results that you would only see in world class restaurants. For those who favor risotto or sauce, you will be armed with the best simmering element. You can be sure that you sauce will certainly simmer gently while you apply all you favorite ingredients into the pot to blend and the result will surely be earth-shattering. 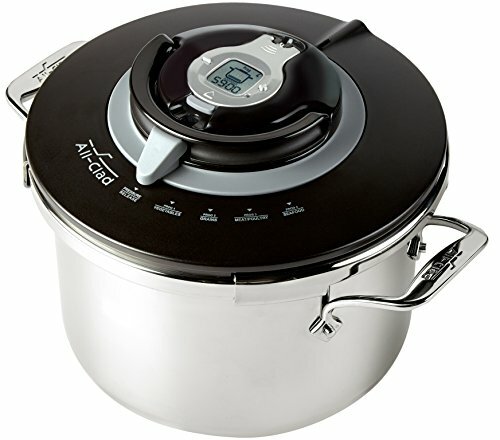 The Cuisant CPC-600AMZ will turn you into a premium super chef in no time at all. 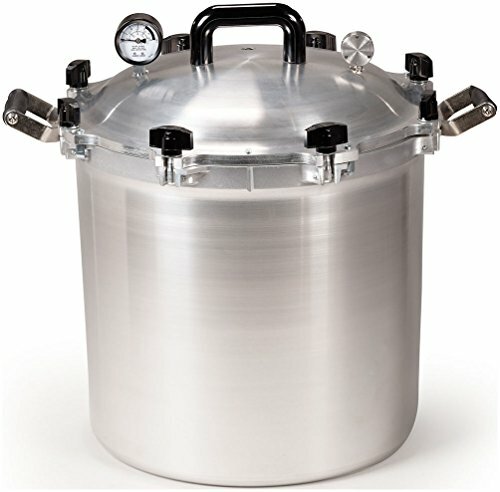 The 6-quart capacity will leave you plenty of space to hold a reasonable serving for a small to medium sized household. 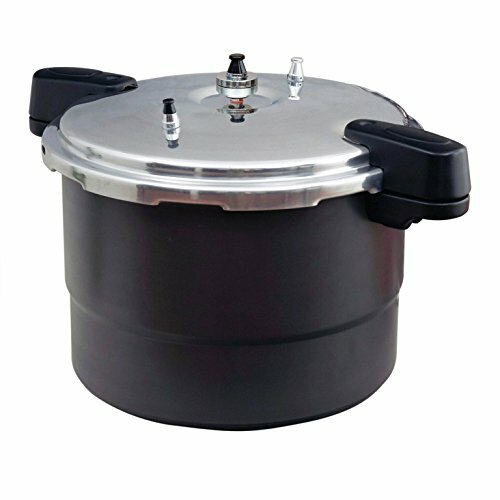 Another great feature of this pressure cooker is that it will reduce cooking time by 70% so you can quickly prepare delicious meals quickly and comfortably have guest come over to eat. With all this % of saved cooked time, you are also saving energy and money as well. You are able to cook by using two cooking modes. Those include low pressure mode and high pressure mode. The low pressure setting is at 6 psi while the high pressure setting is at 10 psi. Therefore, with minimal pressure difference like this, you are able to fully control the temperature and the pressure while you are cooking. Using the ideal timing, your favorite meals will turn into a wonderful treat. 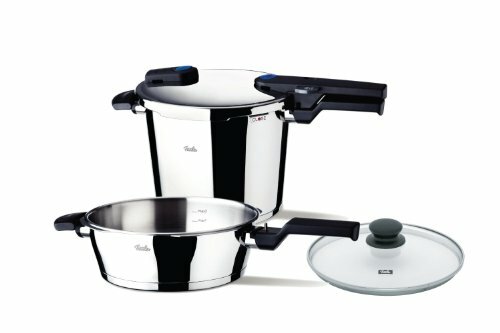 Generally, electric pressure cookers are often blamed for lack of durability when compared with traditional stove-top brands. Regardless if that is true, the benefit and the flexibility to be able to program an electric pressure cooker and continue focusing on other activities around the house whilst your food cooks clearly outweighs it. This one is built for multiple uses per day and often multiple times per dish and will just go on and on for years to come. It is more likely that you will have to replace your non-stick skillets several times. 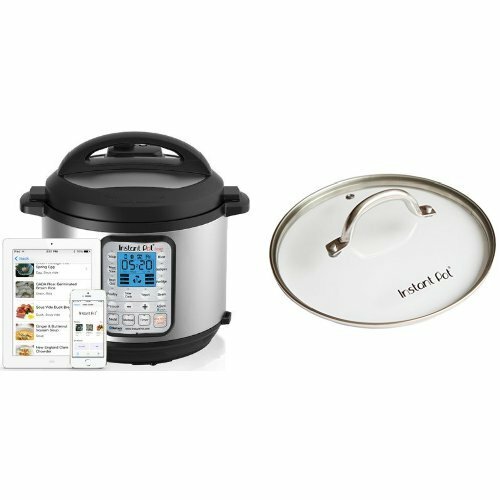 Additionally, parts will wear out and eventually break on stove-top pressure cookers. 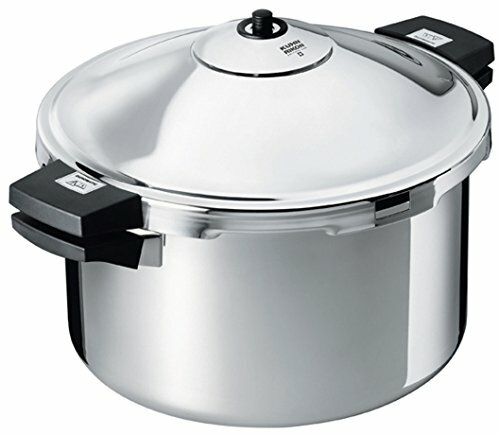 If you want to reduce your cooking time up to 70% then you should have this 6-quart electric pressure cooker in mind. 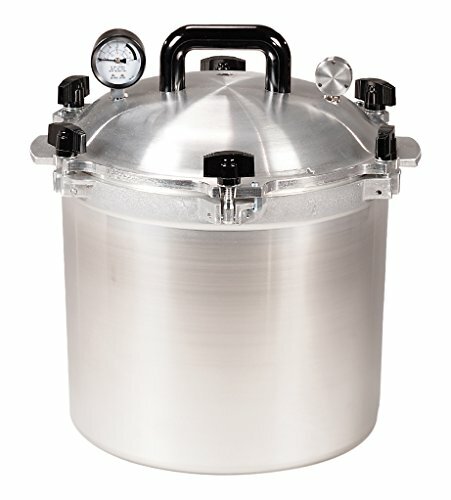 It will trap the steam inside the pot and build up pressure to generate hot temperature. All the heat, moisture and flavor will be securely sealed inside the pot along with all the nutritional supplements to guarantee exceedingly healthy and delicious meals. Moreover, it is fantastic for desserts such as cheesecakes because desserts are important element of the meal also. With the push-button controls, you will enjoy easy-to-read digital display that remove all the guesswork and the precision digital thermostat is there to help you regulate the temperature. 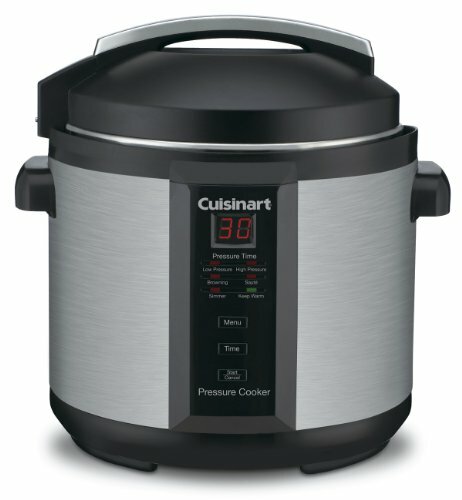 The Cuisinart Electric Pressure Cooker will help you enjoy fast, better and healthier way of cooking your favorite dish. It will save you time and money by coking with less energy and less water so you can explore textures and flavors that are simply just stunning. Browning enables you to cook over high heat and without the lid before you start the pressure cooking process. Sauté enables you to rapidly soften vegetables/food using just a small amount of liquid without browning. 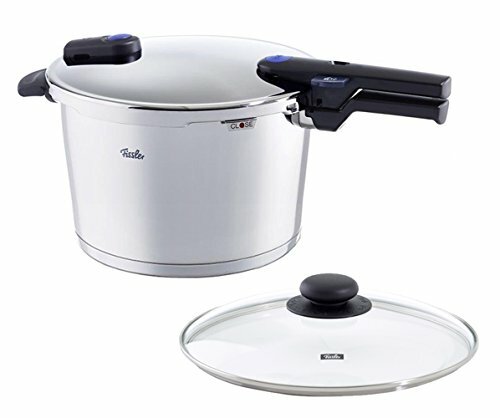 This is ideal for cooking rice, risottos and pilafs. Simmering allows you to cook liquids using lower temperature. Mainly used to finish cooking up some foods and add excellent texture and flavor to the food. Keep-warm setting, as the name suggests, will hold and keep cooked food warm for as long as 12 hours. The keep-warm setting is automated in a way that the LED display automatically shifts to keep-warm temperature when cooking is complete. The greatest features of the Cuisinart CPC-600 are the seven built-in safety features. 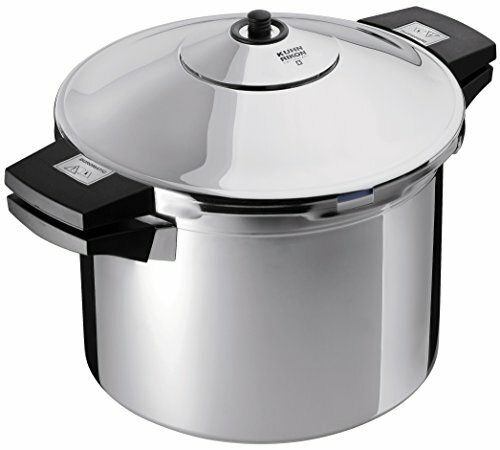 To begin with, the cooker securely seals the lid when it’s under pressure making it impossible to open if pressurized. Then there is the pressure control device that works to measure the pressure/temperature and adjusts it automatically. Next there is a pressure limit valve to release air to decrease pressure if pressure is exceeded. Fourth safety features is the anti-block cover that makes sure the gasket stays in place to prevent food from clogging the pressure valve. The fifth safety function is the pressure relief device that moves the pot downward if the maximum pressure is somewhat surpassed. Sixth safety feature is the thermostat that will automatically turn off the device with no food inside the pot. The last safety element is the thermal fuse that is used to open the power circuit in case if the maximum temperature level is breached. Current owners are generally very happy with this product and overall, this device receives extremely high ratings. People praise the built-in safety precautions like the proven fact that the cooker has to be properly sealed to be able to build up pressure and it will never be unlocked until the pressure has been released. Basically, it is very easy to use, with straight forward instructions and advantageous qualities. 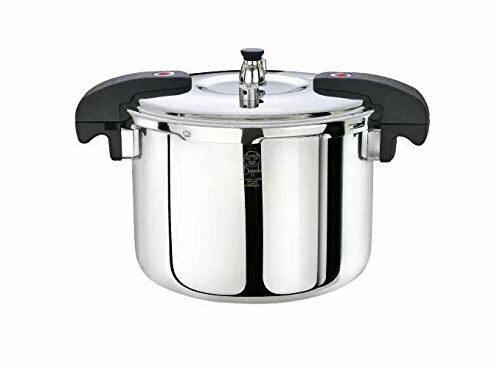 Available at an extremely appealing price range and if you compare the pros and cons you practically have absolutely nothing more to think about weather if it will be a great investment or not because you will be guaranteed to receive top-rated pressure cooker that is highly recommended by current owners.